GH Induction group is investing more than 6% of its revenues in process and product development. Today GH is launching a new TVK vertical scanner family. This new compact solution is designed to include all necessary items to perform hardening, tempering, brazing or any induction heating process that can be needed. The TVK family has a modular concept to answer simple or more complex requirements. It is designed and manufactured with respect of the high quality standards expected by GH customers using recognized brands for the components. TVK main design drivers has been the ease of use, easy for maintainability but more important a very affordable pricing allowing quick return on investment and really short lead times. The model TVK-350 for small parts was shown in the Thermprocess exhibition in Dusseldorf (16th -20th June ), stand Hall 10 Stand 32; and in the GH Induction headquarters. GH Induction Group is an European group of companies specialized in induction heating for industrial applications. 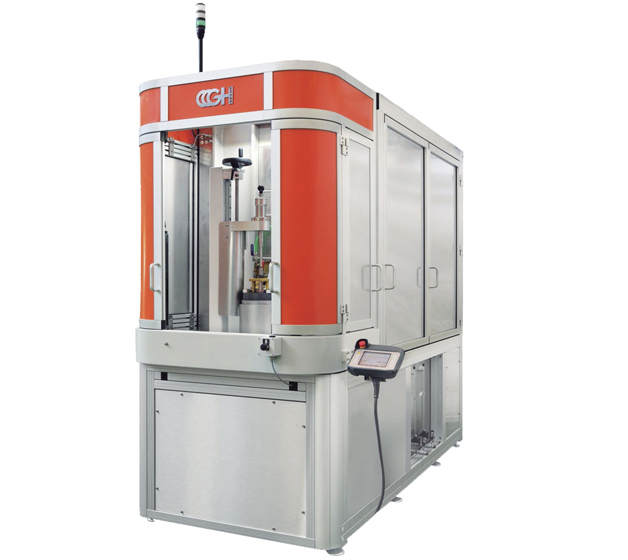 Founded in 1961 GH has more than 4.000 systems worldwide in 40 countries. Brands like GKN, CIE, Neapco, Skoda, Opel, BMW have been trusting GH for long time. Other industries as tube, cable, wind energies, electro technical are also customers.